Target-date funds have increased in popularity during recent years as a result of investors continually searching for easy, one-size-fits-all solutions to manage their money. These types of funds are aimed at investors who are planning for retirement, and claim to take much of the guesswork out of investing. But just how appropriate are these funds for the average investor? The answer may surprise you. In this article we’ll go through how a typical target date fund works, and then discuss some of the hidden dangers that lurk beneath the surface. One of the most critical questions you face as an investor is how aggressive or conservative to be with your investments. At its core, this question revolves around asset allocation: How much of your portfolio should be in stocks vs. bonds? The dominant theory out there today says that you should have most of your investments in stocks as a young individual, and slowly transition your portfolio to bonds (fixed income) as you approach and enter retirement. To make this process easier for the average investor, target date funds have been created to manage the transition. 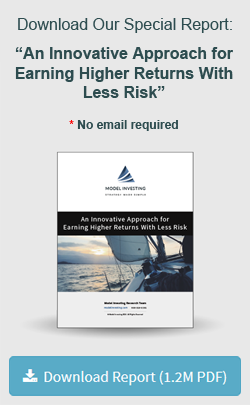 Read More: Are you following an outdated approach to asset allocation? Target date funds are designed to target a specific retirement date. When the target date is far away, the fund is allocated primarily towards stocks, with bonds making up only a small portion of the overall fund. As time goes by, the allocation shifts from stocks to bonds. When the retirement date approaches, the fund is heavily invested in bonds, and exposure to stocks is limited. You might be thinking that this all sounds pretty good. I’ll just pick a target-date fund close to when I expect to retire and all the work will be done for me. Target date funds have the potential to destroy the retirement accounts of those who use them, and it’s important that you understand why. 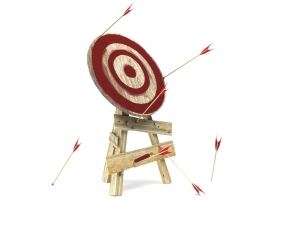 The problem with target date funds has nothing to do with the fund’s construction or execution; to understand why they should be avoided, we need to go back to the underlying asset allocation approach that underpins them. Target date funds split your money between stocks and bonds based on only one factor: age. While an important consideration, age is not the only consideration. Other factors of much greater importance, such as performance, are completely ignored. It is this constant, unwavering exposure to stocks and bonds that is ultimately the Achilles heel of target date funds. By strictly adhering to a preprogrammed approach to asset allocation, these funds ignore changing financial conditions that have the capability of wiping out vast amounts of wealth. Take the most recent financial crisis as an example. From peak to trough, stocks lost over half their value. If you happened to be invested in a target date fund, with a target date far in the future, you were predominantly invested in stocks. That means your fund collapsed in value. The same situation would have occurred during the dot-com bust. Does it make any sense to stay heavily invested in an asset class that is plummeting in value? Transitioning your investments into bonds was the smart move during both the dot-com collapse and the financial crisis. During those two periods, stocks lost tremendous value while bonds provided solid returns. But bonds have their own issues, and may ultimately present the greatest risk to target date fund investors. There is a widespread belief that bonds are safer than stocks. This is the driving force behind the recommendation that retirees have most of their portfolio allocated to bonds. But the truth is that bonds carry tremendous risk, and can collapse in value just like stocks. If you are not acutely aware of the risks facing bond owners today, I strongly suggest you read the article just linked. It will open your eyes to the dangers that lay ahead. The problem with maintaining a fixed allocation to bonds is similar to that of stocks: you may end up exposed to an asset class that is plummeting in value. Did you know that bonds experienced negative total returns for over four decades straight, from 1940 to 1981? Think about what would have happened if you had been a retiree following the advice that is perpetuated today regarding having most of your portfolio in bonds. Scary, right? Bonds play an important role in creating wealth, just as stocks do. But we’re in dire need of a paradigm shift. The old approach to asset allocation fails because it does not factor in the performance of different asset classes. We all know that stocks and bonds go through periods of rising and falling prices. Why then, would anyone remain heavily exposed to either stocks or bonds when their prices are collapsing? Wouldn’t it make more sense to use a dynamic approach to asset allocation, keeping your investments focused on areas of the market that are rising in value? At Model Investing, this is the strategy that we promote. We believe the classical approach to asset allocation is an outdated and dangerous way to invest. Instead, we help investors understand how different asset classes are likely to perform in the future, so they can make informed decisions regarding where to put their hard earned money to work. To see the difference that a dynamic approach to asset allocation can make, check out our investment models. 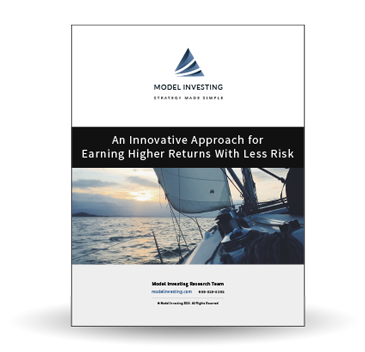 Each model is designed to help investors stay ahead of changing financial conditions. Being able to sidestep the next market crash, and earn higher returns with less risk, just might make the difference between a life of indulgence, or one of scarcity.